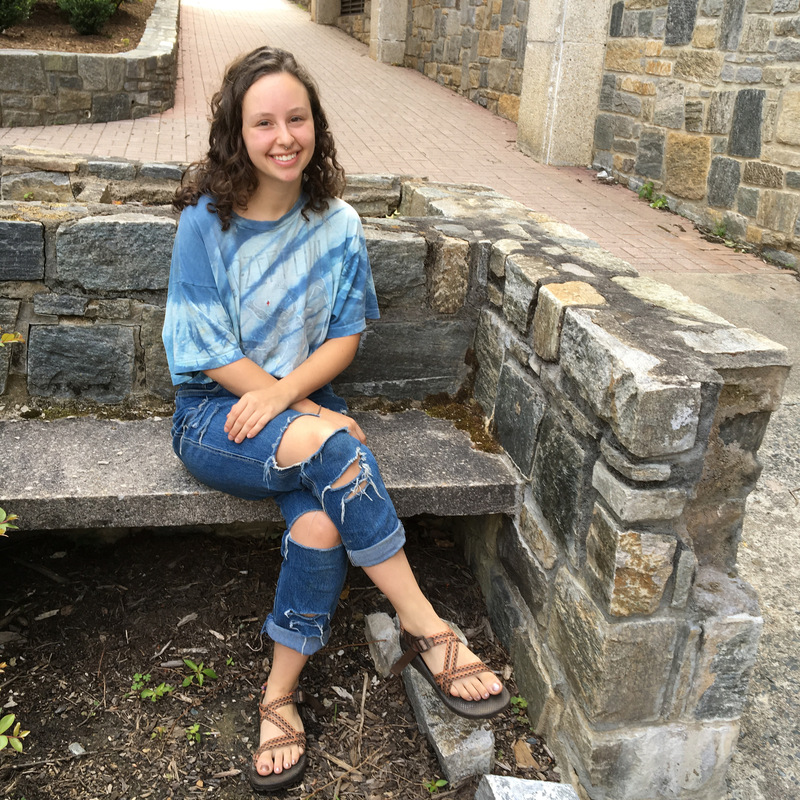 Alaina Storch, a third-year global studies major at Appalachian State University, is on a campaign against “fast fashion” – an industry term for clothing designs that move quickly from runway to retail in order to stay ahead of the hottest new looks. According to Storch, the means to get a product to the selling floor as fast as possible is underpaid, under-represented labor, often by children in developing countries. Her discovery of this practice led her to take action, and call upon Appalachian administrators to change the university’s purchasing practices of logoed apparel. Her activism – which began with research, then a letter-writing campaign and finally a presentation of her findings to Provost Darrell Kruger – resulted in the university’s affiliation with the Workers Rights Consortium (WRC), a group that collaborates with workers, non-governmental organizations and other colleges and universities to improve the conditions of workers producing licensed collegiate apparel. Now that Appalachian is affiliated with the WRC, Storch said, the university will receive reports from WRC that monitor the conditions and pay at the plants that are making logoed clothing. “We need to consider the people who make our clothing as an extension of App State,” Storch said. T-shirts made from water bottles, at your Appalachian State University Bookstore now! Appalachian State University Bookstore offers sustainable fashion lines and a variety of merchandise made from recyclables. Last fall she approached her anthropology professor, Dr. Gregory Reck, to ask for help finding funds to bring a USAS workers’ speaker to campus. 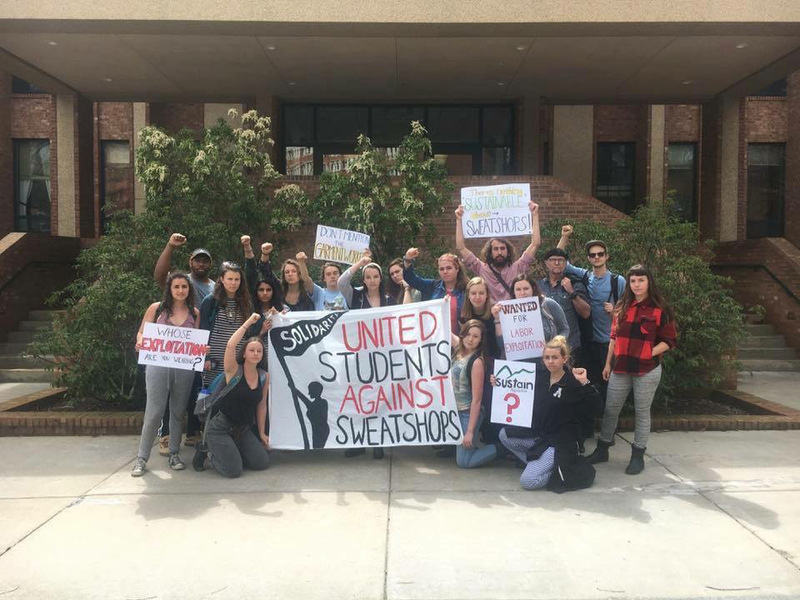 With his assistance, Storch raised the funds and in March a representative from USAS, accompanied by a sweatshop worker from Thailand, came to campus and spoke before a crowd of well over 200 students. This led to a series of student meetings organized by Storch, the letter campaign and ultimately two meetings with Kruger and university General Counsel Dayton Cole, in which, Kruger said, she presented a compelling case to authorize an affiliation with the WRC. Chancellor Sheri N. Everts agreed and authorized the WRC affiliation in March. “This decision is in perfect alignment with Appalachian’s commitment to deep sustainability which requires us to consider our actions in relationship to our environment, economics and the equity concerns of our local and global neighbors,” she said in an announcement about the affiliation. “The university looks forward to working with WRC officials to pursue decent working conditions and reasonable compensation for those who produce goods bearing Appalachian’s trademarks,” Everts said. The WRC has the support of more than 175 colleges and universities in the U.S. and Canada. On behalf of affiliates, the WRC investigates working conditions at factories producing clothing and other products bearing university names and logos, and issues public reports of the findings. Appalachian has adopted a manufacturing Code of Conduct that is an element of all contracts with its licensees. Appalachian’s affiliation with the WRC means the university will require full public disclosure of factory locations and will notify its licensees that this information must be provided within three months. The university has committed to require full and regularly updated public disclosure of factory locations, including those of contractors and subcontractors, and has designated Associate Athletics Director Brittney Whiteside as the university’s primary contact for WRC matters. For Alaina Storch, a third-year global studies major originally from Greensboro, research, collaboration and follow-through paid off when Appalachian State University Chancellor Sheri N. Everts agreed to affiliate with the Workers' Rights Consortium (WRC). – student Alaina Storch, whose research and willingness to present her findings in person led to her effecting change in university business practices. Her efforts ultimately have advanced the scale of Appalachian's social responsibility. 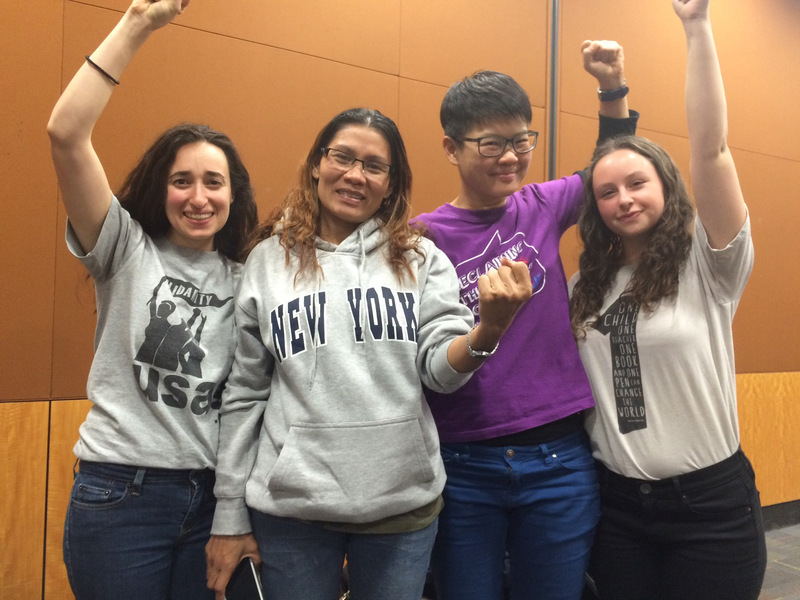 Storch, far right, raised funds to bring a representative from United Students Against Sweatshops (USAS), a translator and a former sweatshop worker from Thailand to the Appalachian campus for a teach-in about poor labor practices last fall. USAS supporters gather outside the Appalachian administration office during a letter-drop campaign to encourage the university to affiliate with the WRC.